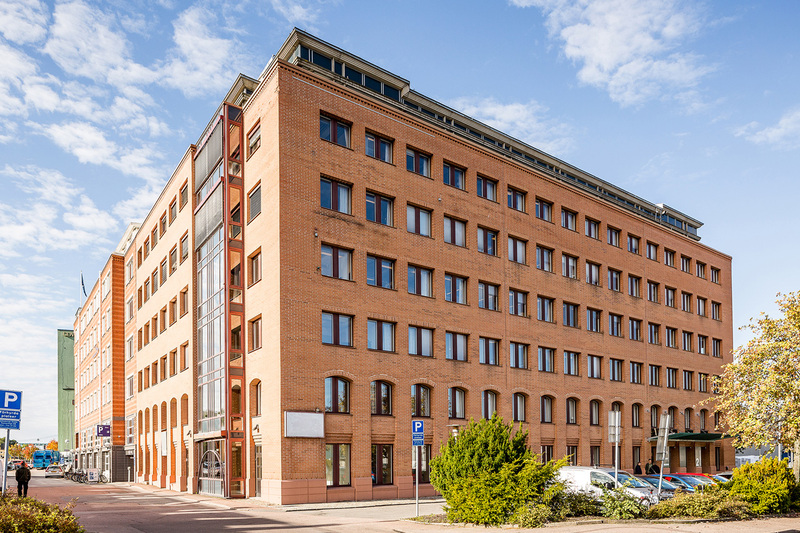 An office property in Gothenburg needed to expand its ventilation, and comfort cooling was part of the project plan. In the end the solution turned into something completely different than a traditional installation. The initial idea was to place a new unit in an existing plant room on the ground floor and another on the roof of the property. The project went ahead as planned, but it was later discovered that it would be very costly to carry out reinforcements with new foundations, for the installation on the aluminium roof. An additional installation on the roof would also not be so aesthetically pleasing. While the contractor was calculating the project, we gave a presentation on our new integrated ThermoCooler HP reversible heat pump, which resulted in the contractor being able to present an alternative solution. Thanks to the compact dimensions of our unit, the existing plant room could be used to install one unit instead of two – despite the increased air volume. The existing chiller was retained to serve the chilled beams, while the cooling of the supply air was integrated into the new AHU. The property owner saved approximately half of the installation cost, and didn’t need to connect the district heating system to the 7th floor. There was also an added bonus that no further installations were needed on the roof. The project was supplied with our Envistar Flex unit with integrated ThermoCooler HP reversible heat pump in the largest size, 980. Since the unit, as with many of our units, is modular, it was easy to get it into the building.